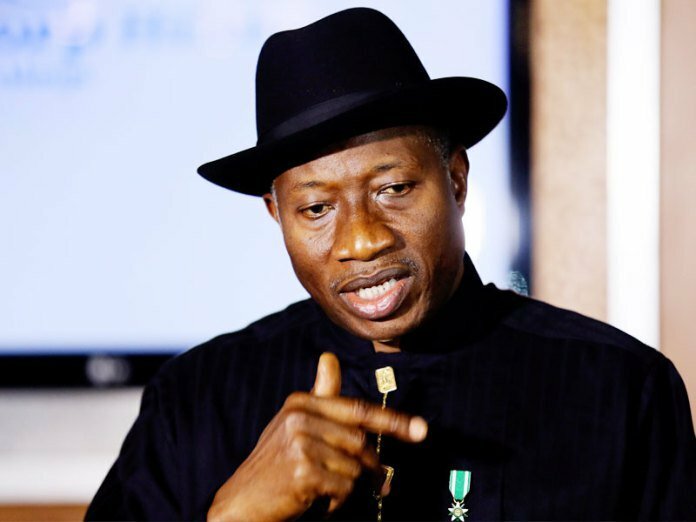 With these words yesterday, former President Goodluck Jonathan condemned the desperation of some African leaders to hold on to power, a situation that has brought avoidable woes to the people on the continent. Jonathan spoke in Abuja at a one-day peace conference themed “Peaceful Elections and National Development” organised by the Goodluck Jonathan Foundation (GJF). He also noted that Africa’s relatively slow growth and poor performing economies are linked to the preponderance of conflicts, and that many patriotic Africans will not deny the fact that at the root of most of the conflicts ravaging the continent is the desperation that often characterises the struggle for power. According to Jonathan, the work of the foundation focuses on credible elections, peaceful transitions, good governance, as well as promoting youth and women empowerment. “It is my considered view that as African leaders, we must change our approach and disposition towards stewardship. We must get to the stage where we should be more interested in developing our people, rather than ruling or just governing them. A development-minded leader is visionary and selfless. He does not seek power at all cost and will not wield it for his own sake. “There is no gainsaying that when politicians resort to desperate measures in the bid to occupy important political positions, they run the risk of plunging their countries into serious crises that often lead to loss of lives, degradation of values as well as destruction of private and public assets. “This breed of politicians often ignores the fact that to be patriotic is to love your country and be prepared to live and die for her honour, reputation, freedom, progress and the ascendancy of the common good. You can restore destroyed infrastructure almost to its former state or even better, but you cannot easily repair people’s psyche, reconcile aggrieved persons and restore hope in a nation, once they are damaged in destructive leadership struggles,” Jonathan said. Jonathan warned that there would be dangerous consequences for Nigeria and Africa should things go wrong with the polls. “For democracy to endure and be productive on the continent, African politicians and other stakeholders must realize that true heroes of leadership are not those whose desperation to impose their will endangers society, but those who have the humility to subjugate their personal ambitions to the collective interest of their nations. Our political leaders must realize that the greatest and most enduring legacy to leave behind is that of peace and development. “We are convinced that any one, either in government or outside government, who truly loves Nigeria, will not want to play the role of the villain by lending his support to any action that instigates crises,” he said. He maintained that in a democracy, periodic, credible and peaceful election is the necessary gateway to improved governance and people-oriented development. It is reassuring to note that democracy is being consolidated on the continent, with elections now conducted routinely by many African nations, he said. “This year, hundreds of millions of Africans will go to the polls in at least 20 nations, from the south to the north of the continent, including Nigeria, Senegal and South Africa where general elections are holding. The Chairman of the occasion and former head of state, Gen. Abdusalami Abubakar lauded Jonathan for his statesmanship in ensuring that the 2015 general elections did not witness any violence. He urged other African countries to emulate Jonathan not to take their people for granted when they make their decision to elect a new leader.